C&I opened its doors to showcase what career opportunities are on offer by hosting the Trust’s first ever recruitment open days. 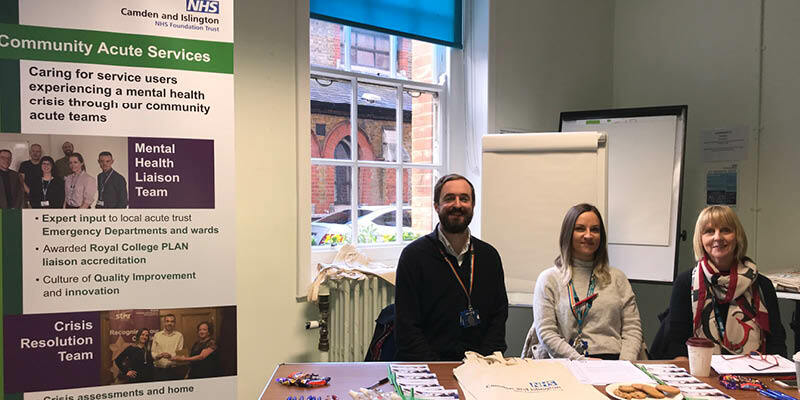 Around 100 attendees had the chance to find out more about different services across the Trust at the two events, which took place at St Pancras on Saturday 17 November and Highgate Mental Health Centre on Saturday 24 November. Representatives from C&I Acute Community, Acute inpatient, Recovery and Rehabilitation, Services for Ageing and Mental Health held information stands along with the C&I HR team who provided careers advice and general information about the Trust.